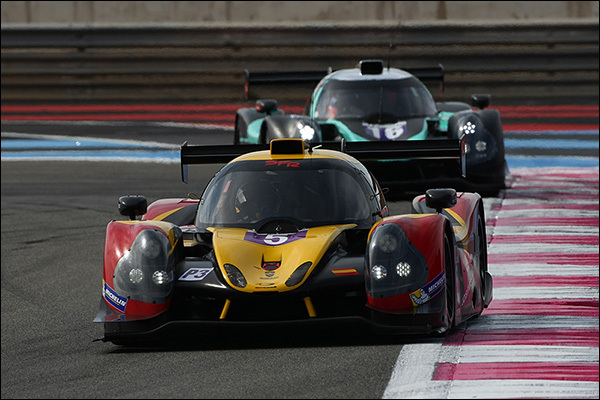 Astounding year-on-year growth for the LMP3 class sees 20 full-season cars grace the Silverstone entry, the only downside being a distinct lack of variety as Ligiers dominate the list – 19 out of the 20 cars come from Onroak Automotive, with development issues for Adess and the fallout from the Ginetta/Oreca/ACO spat late last season playing roles in that scenario. One thing that will be noticeable when the cars hit the track is that plenty of imagination has gone into the liveries of the cars: they present a very colourful sight on track and that should help both spectators and hard-pressed commentators to pick out the runners from what could prove at times to be a seething pack! There’s one non-Ligier entry, but even there there’s an issue: the Ave Riley AR-2 due to be campaigned by Murphy P3-Dimensional.com won’t be ready until round two at Imola, so in the meantime the team is renting the Team RLR/University of Bolton Ginetta, finished in full Murphy colours and with Ave Riley branding. Tony Ave himself drives and despite a total lack of European experience, he’s been ranked Gold, something the team is challenging. He shares the car with long-time racer friend Doug Peterson and Irishman Michael Cullen, a previous Ferrari Challenge champion. 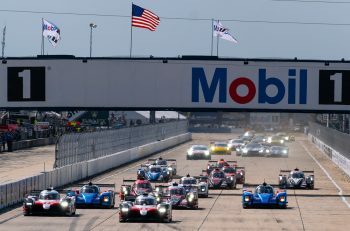 United Autosports fields a prototype entry for the first time in several years (having previously raced an LMP2 at Petit Le Mans and DPs at Daytona). This, though, is a two-car full season effort with a pair of Ligiers that have the air of championship contenders about them! The #2 car matches the rapid Alex Brundle with ex-IMSA PC champ Mike Guasch. They’re joined by Christian England, a man few have heard of but who could be both a banner-holder for a new breed in racing and a significant factor in this championship race. That’s because Christian arrives with a Bronze ranking courtesy of more than a decade out of the sport, but his form before that, and before his racing budget ran out, suggests he might very well be a force to be reckoned with, with second place in the 2002 Formula Ford Championship and a win too in his only F3 outing to his name. The sister #3 car sees Matt Bell (the UK version) race once again with the still-not-retired Mark Patterson, the US-domiciled South African gravitating back towards the sport like a comet on a bungee cord! Wayne Boyd is another man with single-seater success behind him, twice winner of the Formula Ford Festival, 2008 Formula Ford Champion, third in US F2000 in 2011 plus a race winner in F3. 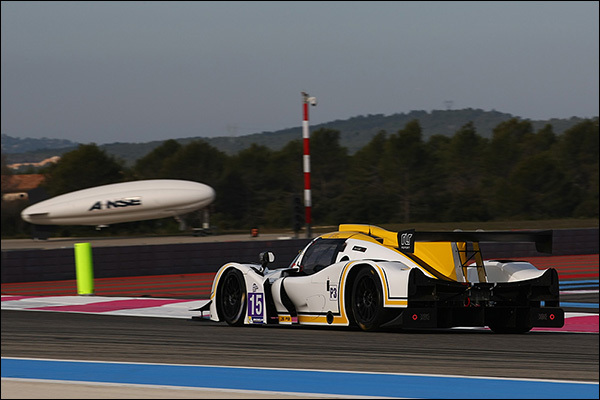 Could LMP3 be a factor in drawing back the fabled ‘lost talents’ to the sport? 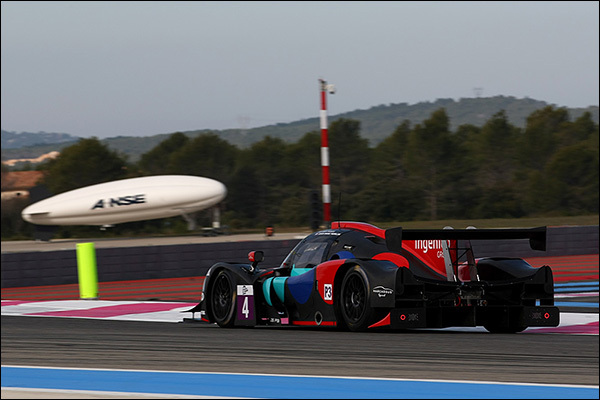 Oak Racing is another two-car team with the #4 and #24 Ligiers, the #4 crewed by friends and gentleman races Erik Maris and Jean-Marc Merlin, the #24 by father-and-son Jacques and Pierre Nicolet. The first of four returning teams to the championship are ‘by Speed Factory’, the SVK moniker of 2015 now dropped. 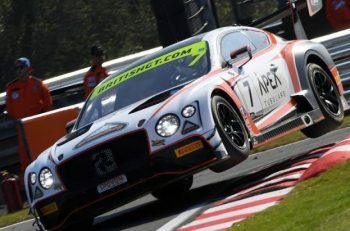 It has the returning Jesus Fuster and Alvaro Fontes joined by British racer Tom Jackson, the ex-Ginetta Junior and F4 racer making his LMP debut. 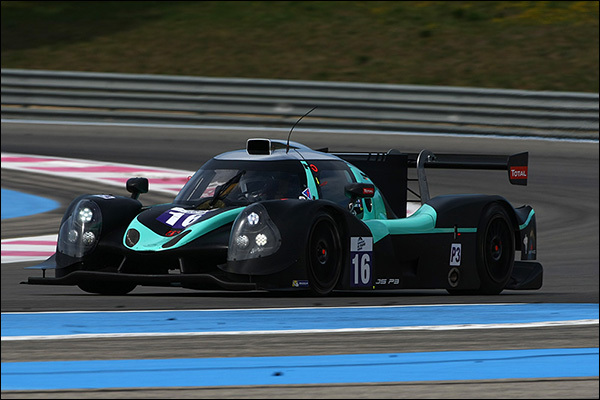 The team is fielding the #5 Ligier instead of last season’s Ginetta, that car now sold as a spare for Miro Konopka’s proposed two-car Asian LMS campaign for 2016/17. Stepping up from a successful spell campaigning Radicals is UK team 360 Racing. The squad brings three men who’ve had success in junior prototypes. 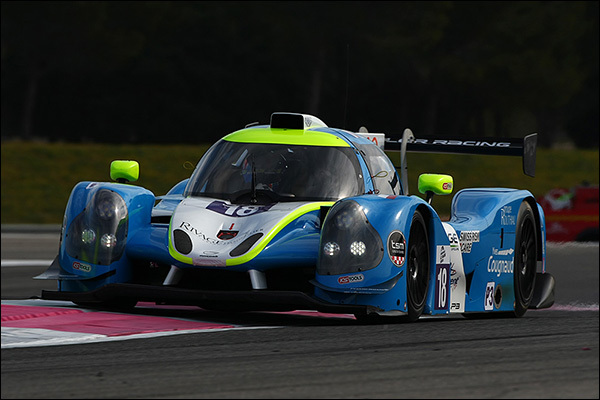 Terrence Woodward and Ross Kaiser won the Radical European Masters last season in a Radical SR8 (a title Kaiser also won in 2012), with James Swift finishing seventh in the same championship. Kaiser won the Sunoco Daytona Challenge in 2011 and raced in the Rolex 24 Hours at Daytona for Doran Racing. 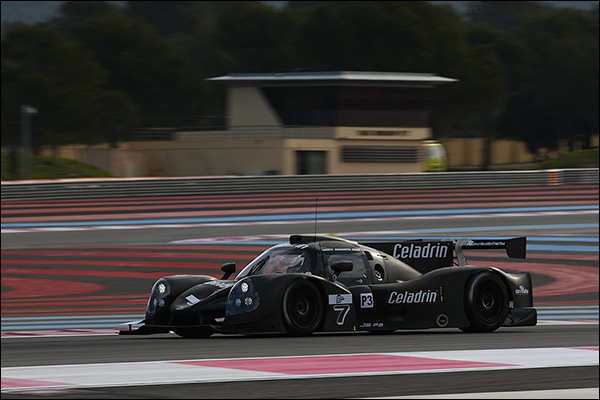 Scuderia Villorba Corse is the second returning team from 2015, also now having parked its Ginetta for a replacement Ligier. Roberto Lacorte and Giorgio Sernagiotto return for the season, joined by 2012 F3 European Open Champion Nicollo Schirro, who raced for the team in International GT Open in 2014, taking a pair of wins on the way to third in the final standings. 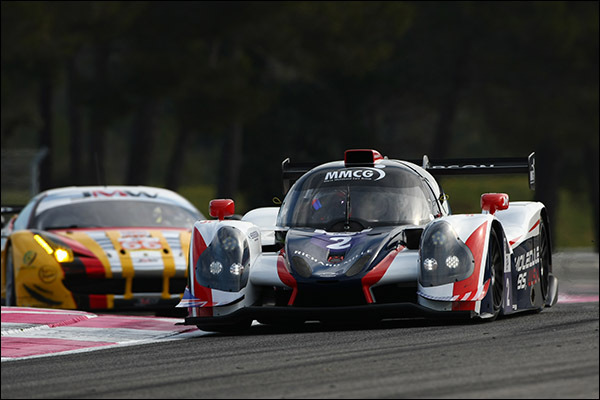 2015/16 Asian Le Mans Series champion Race Performance steps back into the ELMS with a two-car effort, one in LMP2 and this one in LMP3. The #8 car crewed by reigning Radical European Masters (Supersports) Champion Marcello Marateotto, young ex-ADAC F4 racer Giorgio Maggi (who made his sportscar racing debut in the Asian Le Mans Series last season taking two CN-class wins on the way to the class title) and the evergreen Bert Longin – a multiple Belcar champion, multiple race winner in FIA GT in the GT1 years and more recently stalwart contender in the Nascar Euro Whelen Series. 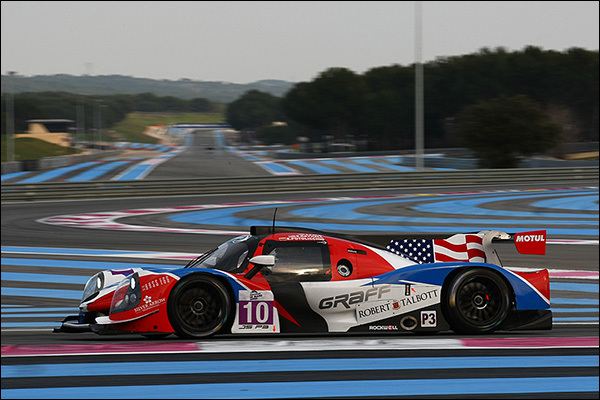 Graff Racing is the only team returning to the series with a Ligier. 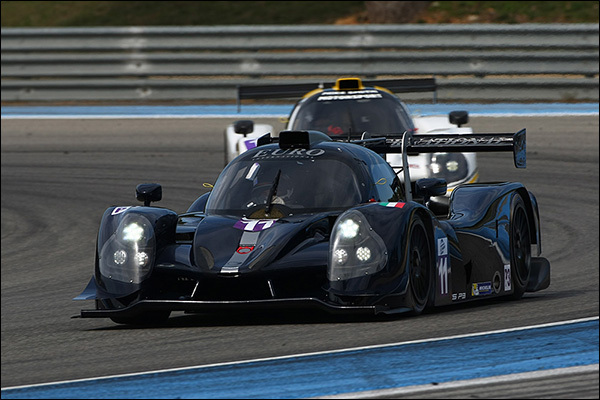 The French outfit gave the car its ELMS debut in the season finale at Estoril last year, scoring second place in Portugal. It, too, brings a two-car effort, with the #9 Ligier seeing the return of Estoril starter Eric Trouillet, joined by VdeV and ex-single-seater racer Paul Petit, plus Enzo Guibbert, who’s stepping up from GT3 racing in Blancpain and GT Tour competition with Sport Garage. 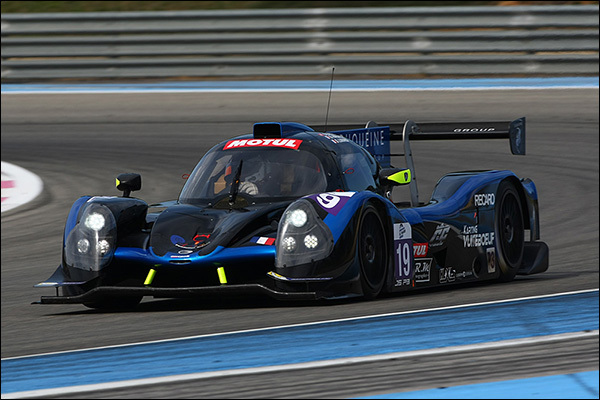 The second car, the #10 Ligier, is crewed by IMSA PC Oreca man John Falb, the highly rated Sean Rayhall and 2012 FIA WEC LMP2 Champion Enzo Potolicchio. There’s circuit knowledge to be dealt with, but that’s a crew with some real talent on board! One of the very first teams to declare for 2016 is another two-car effort, Eurointernational is a team known to sportscar fans of old through its adventures in IMSA racing with a Ferrari 333SP. The 2016 effort sees Giorgio Mondini return to an LMP for the first time since 2009, when he formed part of the Kolles Audi R10 squad that brought its car home ninth overall at Le Mans! Since winning the 2004 Formula Renault V6 Eurocup, Mondini has struggled to put together a full season of racing. Andrea Roda, son of Porsche racer Gianluca, arrives after outings last season in LMP2 with Algarve Pro and a win in the then-fading Auto GP series in 2014. 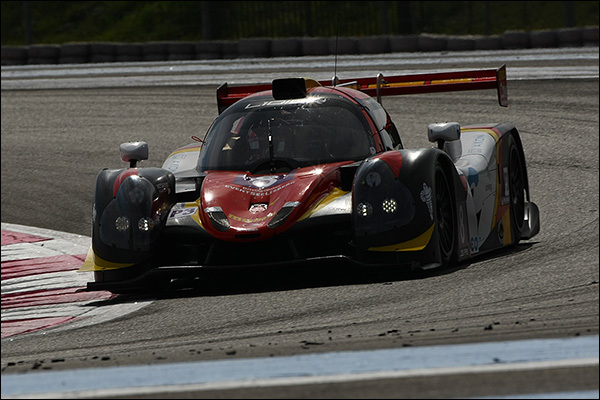 Marco Jacobini finished third in last season’s Italian Prototype Championship in a CN-class Osella. At time of writing, only one driver is listed in the team’s second, #12 Ligier: ex-Italian GT, Superstars and one-make Ferrari and Maserati racer Andrea Dromedari. Polish team Inter Europol Competition brings a new nation and a splash of colour (below) to proceeding. The 2014 Boss GP Champion (and 2015 runner-up in an ex-GP2 Dallara) Jakub Smiechowski is listed, together with Thomas Dagoneau, the Frenchman returning to the ELMS after previous outings in both the PC and LMP2 classes. 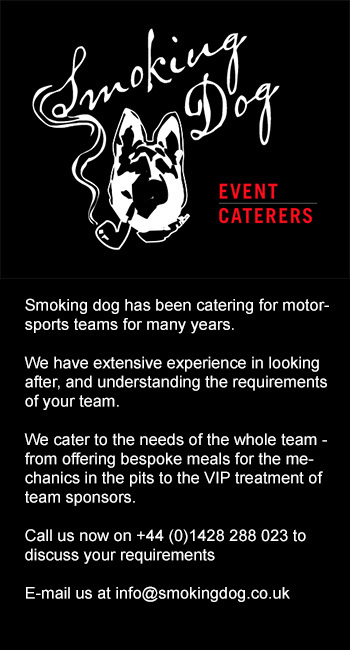 RLR Msport is another returning team. 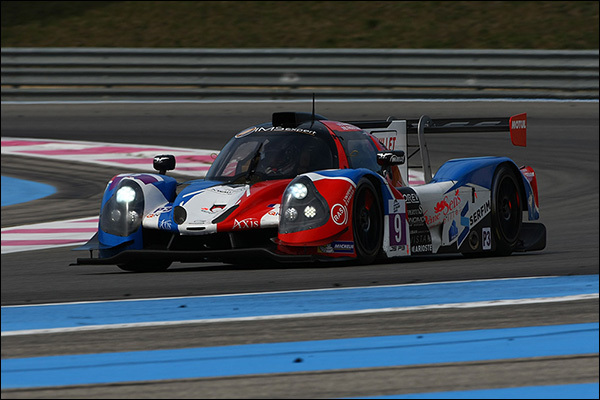 It won an LMP3 race last season (at Imola) with the Ginetta being campaigned here by Murphy Prototypes, but is now focused on its Mike Smith-owned Ligier. 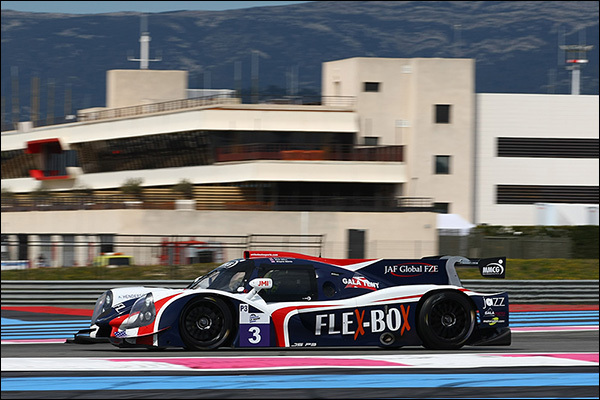 Ossy Yusuf, Morten Dons and Ross Warburton are the full-season trio for the #15 Ligier – Yusuf moving up to LMP3 from a GT4 campaign in British GT, Dons part of the team’s Imola race-winning squad in LMP last year and Warburton an experienced historic racer with a class win at the Dubai 24 Hours in 2014 on his racing CV. 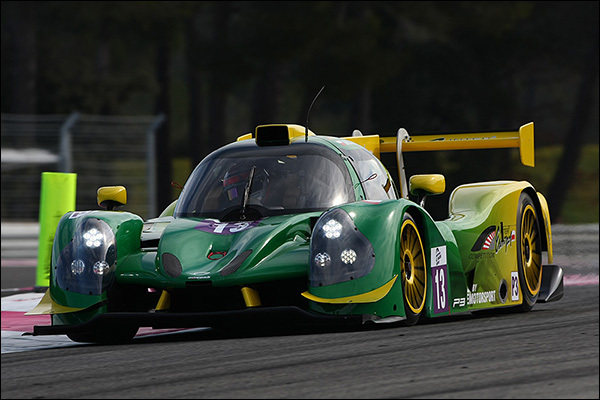 Panis/Barthez Competition joins Murphy and Race Performance as a team with a foot in both prototype class camps. Their #16 Ligier teams up Eric Debard (2009 French GT champion and 2012 runner-up) with single-seater racer Simon Gachet and 19-year-old reigning French F4 Champion Valentin Moineault. This could be an interesting line-up! 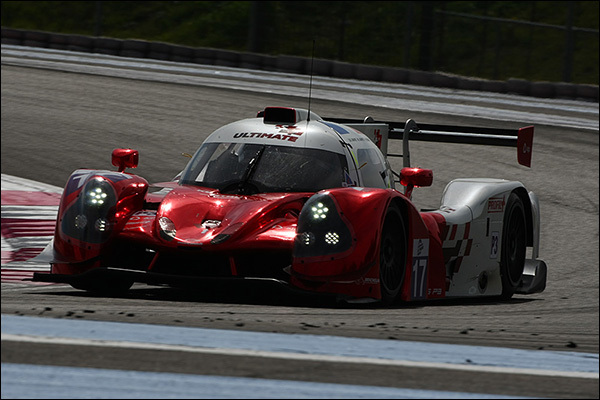 The #17 Ultimate Ligier sees VdeV racer Jean-Baptiste Lahaye drive alongside his son, twice Le Mans LMP2 podium finisher and 2009 Asian Le Mans Series champion Mathieu Lahaye, plus past VdeV Funyo Challenge champion (he beat Jean-Baptiste to the 2009 title) Francois Heriau. The ‘YM’ in the YMR of the #18 M.Racing-YMR stands for Yvan Muller. 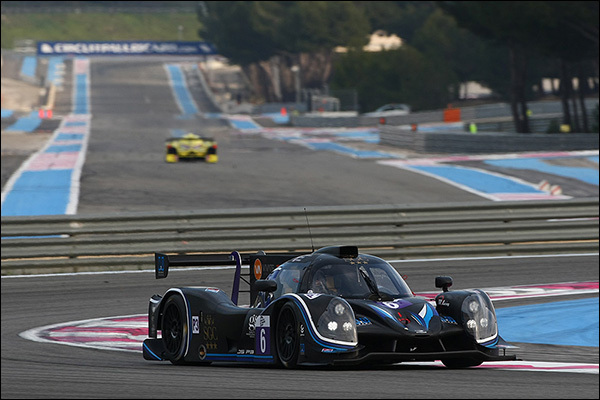 The multiple touring car and ice racing champion is fielding multiple karting title winner and Asian Le Mans race winner in LMP3 last season Thomas Laurent, ex-F3 and Porsche one-make man Alexandre Cougnaud and Yann Ehrlacher – son of ex-racer Cathy Muller and French international soccer star Yves Ehrlacher, and nephew, therefore, of the team principal! Ehrlacher has one-make and Mitjet racing on his CV. 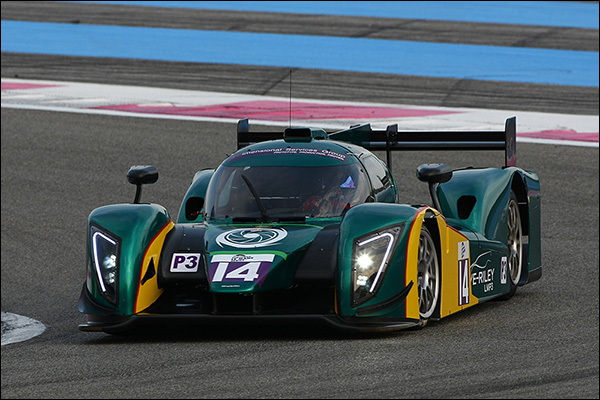 The final team in the list is another two-car effort, this time from Duqueine Engineering under the direction of ex-GT3 racer Gilles Duquesne, the wheelchair-bound Frenchman no mean driver himself. He fields veteran sportscar racer David Hallyday, young VdeV Monoplace champion David Droux, 2015 ELMS GTC Champion and 2011 ADAC GT Masters champion Dino Lunardi in the team’s #19 Ligier with 2012 LMP2 Le Mans starter (for Status GP) Romain Ianetta, gentleman racer Maxime Pialat and ex-GT3 racer Eric Clement in the sister #20 car.